It's been a while since I've posted last. I'm sorry about that! Life has been hectic. Anyways, lets get down to the nitty gritty. Over the summer my BF bought me this shirt as a gift. He brought it home with him after work from J. Crew. After his discount and sales it was $5.00. I absolutely love the color. It's such a great addition of neon. I'm a huge fan of neon green so the BF did well. Honestly, who am I kidding here, my faces just keep getting better and better. 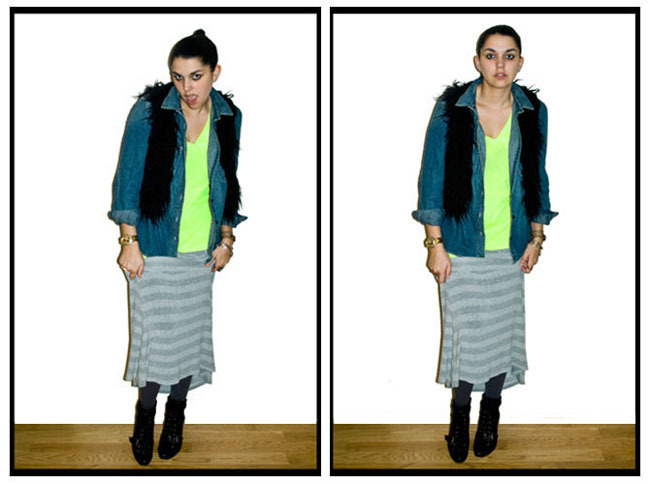 Here is an outfit I had stored on my desktop. Love this Topshop top. I bought it years ago right after Topshop began shipping to the United States. It's the epitome of perfection; stripes, navajo print, neon colors and (although you can't see it here) it has cut out shoulders. I mean, what could be better? My mom bought me this cookbook for Christmas years ago. 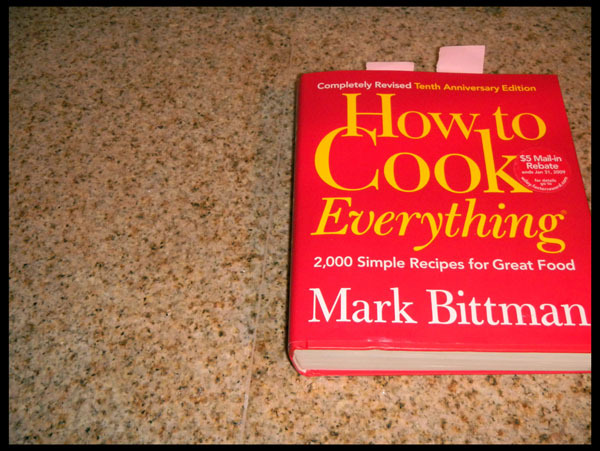 It's like the Bible of cookbooks. It literally has recipes for anything you could imagine. If you're into cooking, or looking to learn, you should definitely invest in this baby. 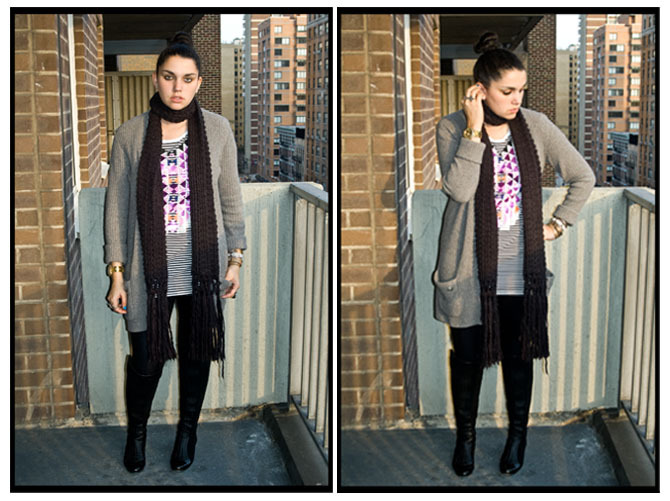 This blog is as much about my personal style as it is about my love of Crumbs cupcakes. 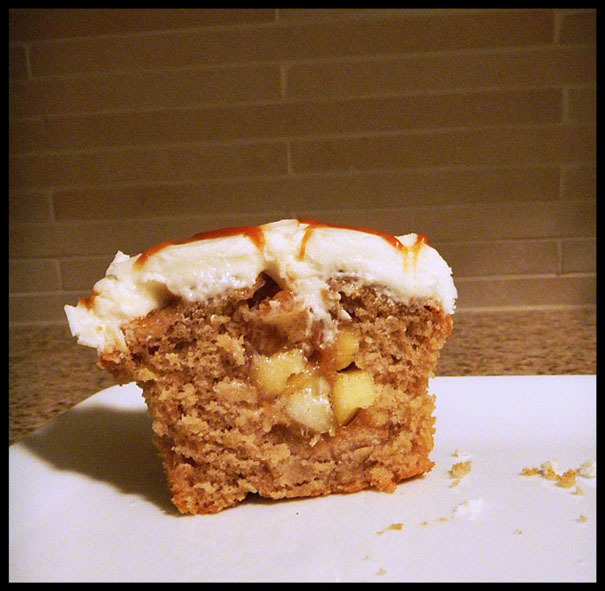 Here is an apple cobbler cupcake, scrumptious. I always thought the worst thing to happen to me would be to live near a Zara because I'd quickly go bankrupt. It turns out the worst thing to happen to me is living near a Crumbs bakeshop (actually a block away, uy). If you live in New York, or anywhere where Crumbs are available, do yourself a favor and get a cupcake, you deserve it! If you haven't entered my $100 dollar Shopbop GIVEAWAY you're missing out. Click here to enter! I love the neon tee - your bf has great taste, and OMG I want one of those cakes! I love your style of blogging, it's so creative. So nice you get that neon shirt as a gift! It is such a nice color. I love the skirt to. And that cupcake looks so delicious. your stripey skirt is great, that's exactly the kind of things i've been looking for! Loving the 1st look. Great mix of a bright shirt under denim one ... love the outfit. Love the outfits and that pop of color was a great choice! I think that cupcake might be worth poverty. Love the neon! Love the way you mix the colors!! I am addicted to cupcakes I just came back from NY and tried Magnolia bakery cupcakes I haven't had crumbs before but I'll put it on my list!! that cupcake looks so yummy, I want one too!! You loook so beautiful like skirt! 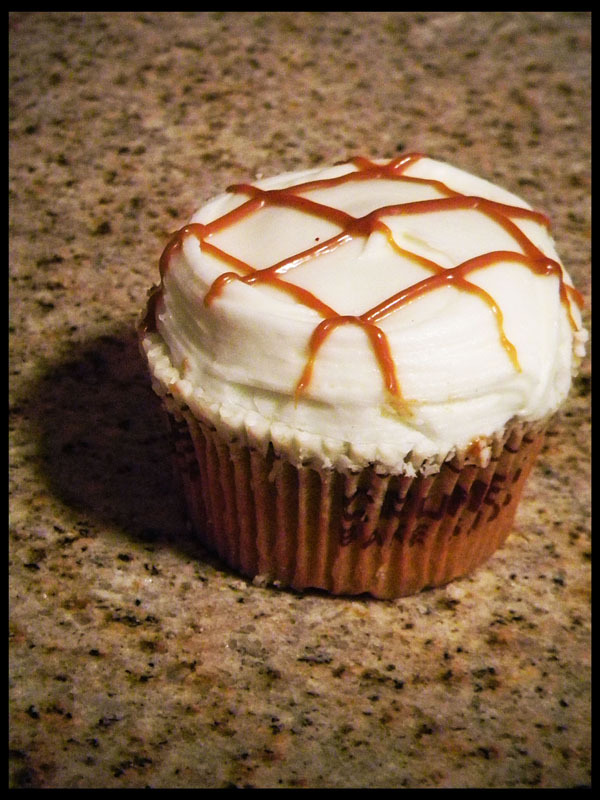 Wishing I lived there just for the cupcake! Your green/yellow/neon tee is amazing!! The first outfit is so unique and amazing! I love your pleated maxi! And you hair looks so great down! And the swap is such a great idea, I love Steffy's blog as well! Love your outfits, as always! 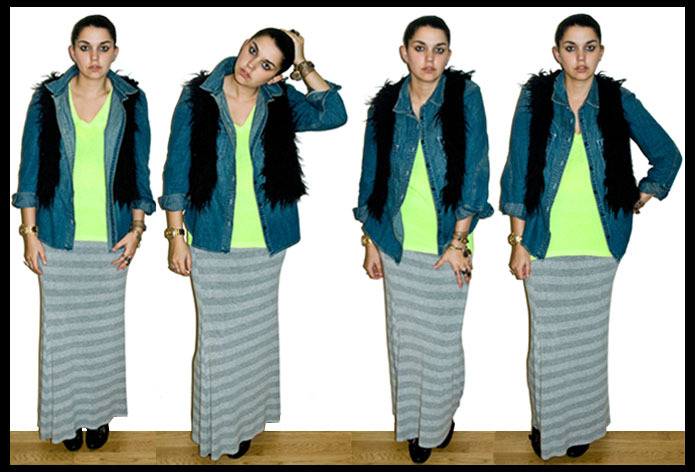 I need to look into getting a maxi skirt! great skirt, can't get enough of the stripes. and i've been dying for that book!